This year's London Handel Festival focuses on Handel's Divas; in fact a word that was not used about singers during Handel's day and which has come to have rather negative connotations. As part of the festival Bridget Cunningham and London Early Opera will be performing at the London Handel Festival on 11 April 2019 with a concert entitled Costly Canaries, Mr Handel's Search for Superstars. Bridget is a regular at the festival [see my review of London Early Opera's Mr Handel's pleasures at Vauxhall at the 2018 festival] and she is hoping her concert will debunk some of the myths surrounding Handel's divas, such as Handel threatening to throw Francesca Cuzzoni out of the window when she refused to sing an aria he had written - in fact, this was the punishment for murderers in parts of Germany and Handel was being witty; Cuzzoni would sing the aria and it became something of a theme tune for her as she sang it for 30 years. Bridget Cunningham is very much a research-led performer, and her concerts and CDs with her group London Early Opera always explore the rich vein of background to the music. I recently met up with Bridget to chat about her plans for London Early Opera's festival appearance as well as future plans with more of Handel's divas. Bridget's Costly Canaries concert will commemorate the 300th anniversary of the founding of the Handel's Royal Academy of Music, one of the most ambitious opera companies in the 18th century. For the venture, Handel recruited singers from operatic centres in Italy and from Dresden, and they turned out to be rather more expensive than the parallel British singers, thus giving the Royal Academy of Music a financial headache from the word go. So the concert will narrate the sad decline of that academy, because of costs escalating and other issues as well. Then Handel and John James Heidegger, the impresario, formed the second Royal Academy of Music and Handel recruited in Italy again. Teatro San Giovanni Grisostomo in Venice. The concert will include images and a narration from Lars Tharp (who is a former director of the Foundling Museum and narrated Bridget's concert at the festival in 2018, see my review). The concert will introduce us to three of Handel's divas. 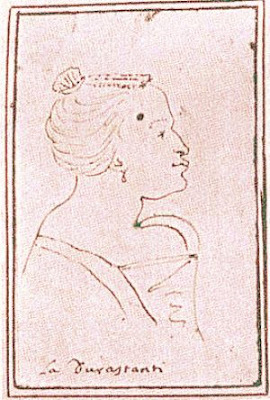 Margherita Durastanti whom Handel met during his Italian sojourn (1707-1710) and who was one of the first singers he recruited for London. Her arias will be sung by Hannah Poulsom, who is studying at the current Royal Academy of Music (RAM). Whilst the current RAM and Handel's original have no connection, Bridget has in fact recruited for the concert singers with a connection to the RAM. Anastasia Robinson was the only one of Handel's opera singers to be English, and that she was a Catholic meant that she was friendly with the Italian singers. She will be sung by Marie Elliott. 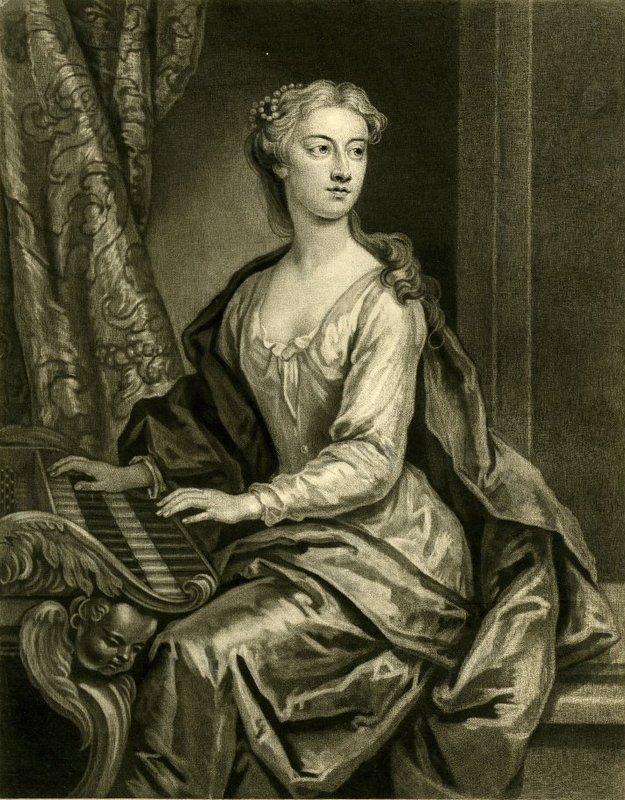 The final of Handel's divas portrayed in the concert is soprano Anna Strada del Po, who was the star of Handel's second Royal Academy of Music and for whom Handel wrote the title role of Alcina, and she will be sung by Anna Gorbachyova-Oglivie, a finalist in the London Handel Singing Competition. But this period also sees the come-back of Durastanti as well. Other events touched on in the concert include the death of King George I and the coronation of King George II. Bridget is making use of important research that Professor Colin Timms has done on the funeral of King George I (he died abroad and so did not have a British state funeral). It appears that Stefani's Stabat Mater was sung at the funeral service, and a movement from this work will be included in the concert, as will Handel's revision to the march from his opera Riccardo Primo which was used for George II's coronation. The narrative of the concert continues with Handel's move to the theatre in Covent Garden and then his move away from Italian opera and into oratorio. Bridget's aim here is to show Handel as a master of re-invention. The Italian soprano Anna Strada del Po was in fact one of the first of Handel's Italian singers to do oratorio, as well as singing major roles in Handel's Italian opera she sang the title roles in the oratorios Deborah and Athalia, thus breaking boundaries. 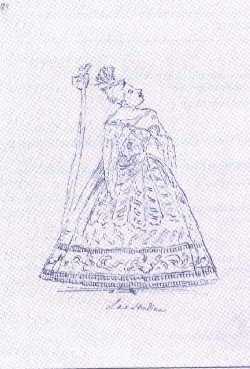 And Anastasia Robinson broke similar boundaries when, as an English singer she sang in Italian in the opera. So Bridget regards it as important that modern day singers perform both Handel opera and oratorio whatever their background. 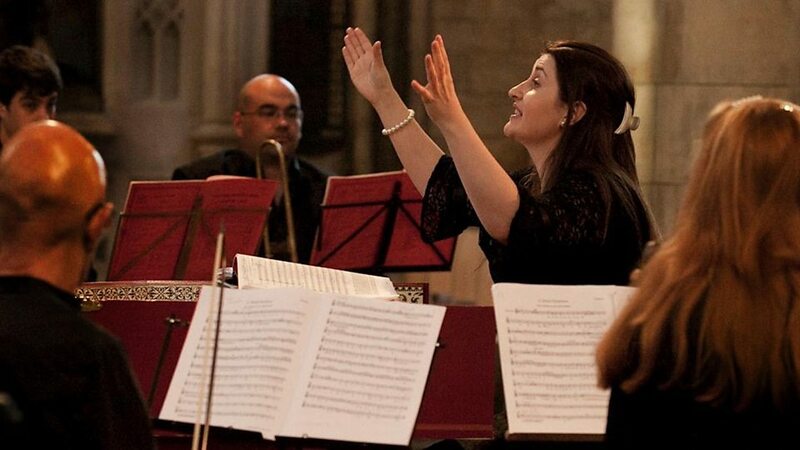 Bridget's first appearance at the London Handel Festival was in 2012 when she gave a solo harpsichord recital and conducted Handel's first oratorio, Il triumpho del Tempo at the Grosvenor Chapel, and she is delighted to be continuing the connection at the 42nd festival. She comments that this year's festival is a big one with plenty to fit in, and she loves the way the festival has kept up traditions so that each year there is a performance of Bach's St. Matthew Passion on Good Friday as there was at the first festival. She feels that the singing competition has become an important feature of the festival, especially the way that the relationship between singers and festival continues with finalists continuing to appear at future festivals. Bridget and London Early Opera have a new disc out in July, a further instalment of their Handel series on Signum Classics. This new one is a double CD and will include 15 world premiere recording. Entitled Handel's Queens, it will feature music associated with Handel's two divas Francesca Cuzzoni and Faustina Bordoni, but rather than focusing on the singers' period in London the recording will look at their whole lives, from their early careers in Italy to their later, post-London activities. Bridget aims to set the record straight about the two and their infamous London 'fight' which in fact never happened. The 'fight' between them in London was pure invention of the contemporary press. Cuzzoni and Bordoni had performed together before in Italy, where it was quite common to have two divas performing in an opera, so the London press made up the story of the rivalry. What the arias on the disc will show is how extraordinary and versatile each singer was. On the disc Mary Bevan will sing the Bordoni arias whilst Lucy Crowe sings the Cuzzoni ones, and whilst each singer had distinctive vocal characteristics with Handel writing specific arias for them, the repertoire on the disc shows quite how versatile each singer must have been. As with Bridget's previous discs in the series, there are significant booklet notes as well giving full details and history of the singers and the music. Bridget set up London Early Opera as a research-led performing company, and for her the word and deed go together, and she finds the music in Libraries herself. 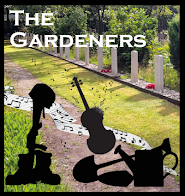 She finds it important to go to the original manuscripts, and after a time sees that you can begin to recognise patterns in composers' writings. We can never know quite what Handel's original singers sounded like, and all Bridget and her performers can do is try their best. They use contemporary singing treatises to inform their decisions, but the original venues would have affected the music as well. For instance, Italian churches, with a prevalence of marble, would have a very different resonance to German ones with a great deal of wood. And Bridget feels that far more was possible in the 18th century than was first believed by 20th century scholars, with singers using things like portamento and vibrato as part of the singing armoury. The soprano Faustina Bordoni was known for her martellati (strongly accented notes, from the Italian word for hammer) and granite-like tone! 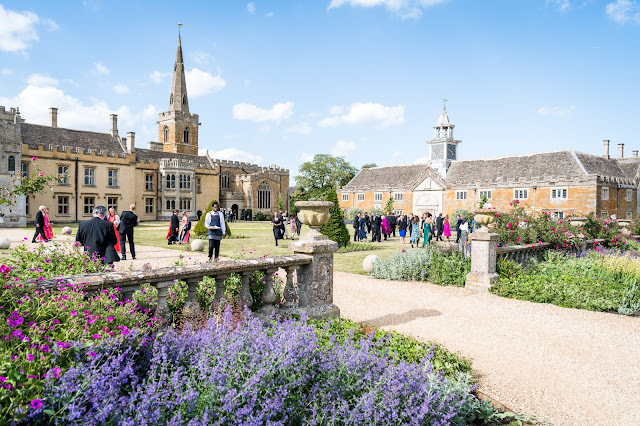 A group like London Early Opera is able to take advantage of the phenomenal singing talent around today, and Bridget is warm in her approbation of the effect of the London Handel Singing Competition (now a regular feature of the festival). In fact, London Early Opera is setting up its own scheme, the Handelians, to inspire young talent. This will be an extension of Bridget's work coaching young singers, something that she enjoys and that she has done for some years at the Royal College of Music. She feels that singing Handel is a good foundation for any young singer, if you can sing Handel you can sing anything. Further ahead, Bridget has plans for another solo harpsichord disc, and London Early Opera will be continuing its Handel travel series, having released Handel in Italy, Handel in London, Handel at Vauxhall, and Handel in Ireland, they will be returning to Ireland for a second volume, and we hope to see them again at next year's London Handel Festival. This year, as well as the concert at the London Handel Festival, London Early Opera is planning a concert for families in the bandstand at Coram's Fields (site of the original Foundling Hospital and still owned by its successor body, the Coram Foundation) which will include music associated with the Foundling Hospital. Bridget trained in piano, organ and violin and also conducts more recent repertoire, something she enjoys and finds complements her Baroque repertoire. She comments that it is important to be always learning and that conducting a modern orchestra is very different to directing Handel from the keyboard. And her instrumental training has come in useful, as she sees it as important that a conductor knows how instruments work. She was always interested in Handel; when she learned the harpsichord at University she fell in love with Handel's harpsichord suites and with his arias. And she quotes Beethoven, referring to Handel as the greatest composer ever lived. She finds that Handel's music connects with people, partly through the remarkable range of emotions that he portrays so that there is always something you can find a connection with in the music. Her connection with the composer developed when she researched Handel's Irish visit, when he gave the premiere of Messiah at a time when oratorio was going out of fashion in London. Also, just before the visit there had been a devastating frost in Ireland in 1739/40 and one of Handel's concerts was for the benefit of people in debtors prison. Since that first research, she has created her travel series of CDs looking at Handel's different musical voyages creating snapshots of his life. Costly Canaries - Mr Handel's search for superstars - Hannah Poulsom, Marie Elliott, Anna Gorbachyova-Ogilvie, Lars Tharp, London Early Opera, Bridget Cunningham - London Handel Festival at St George's Church, Hanover Square, 11 April 2019, further information from the festival website.